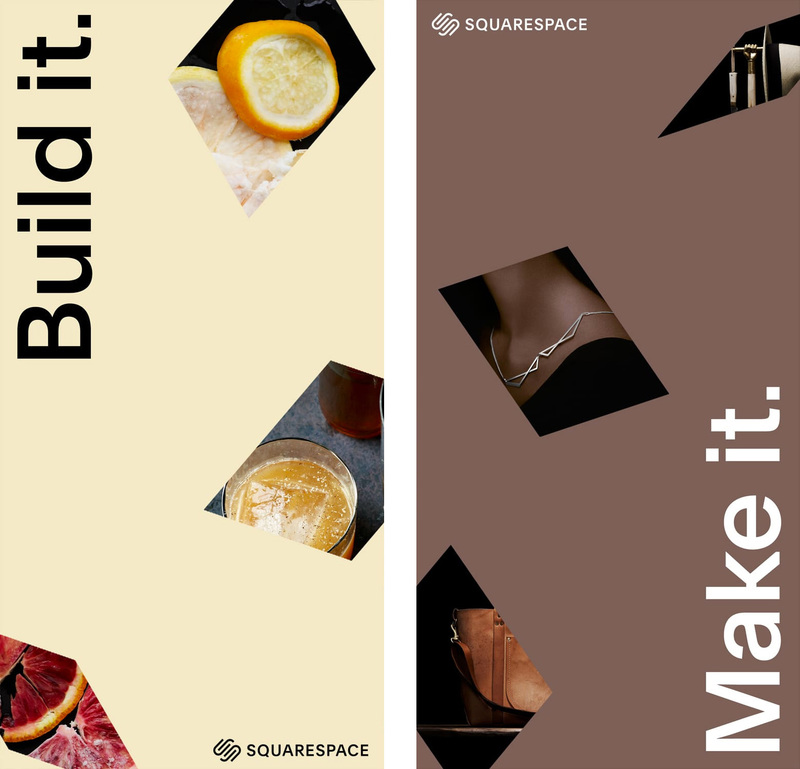 Launched in 2003, Squarespace is a web publishing platform that allows anyone to easily design websites through pre-built templates and/or drag-and-drop functionality. 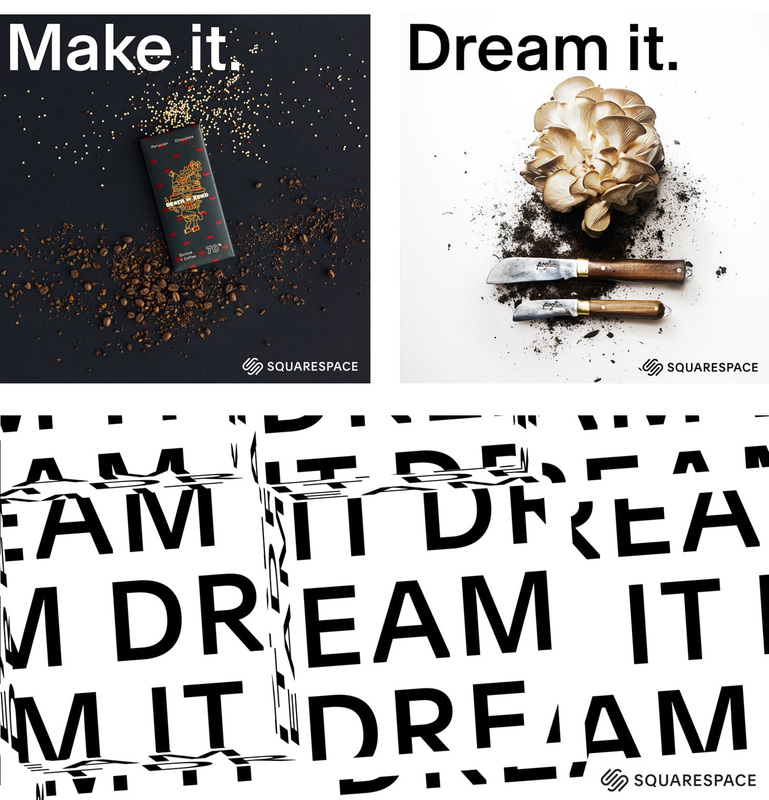 Originally the work of Anthony Casalena who ran the company on his own for four years with seed money from his dad and a university grant, Squarespace now has more than 800 employees in three cities and an unspecified range of millions of websites have been done through its platform. I remember the days when Squarespace was just beginning and even few designers knew about it — now it has been advertising during the Super Bowl with Keanu Reeves since 2014 and they are the first sponsor to appear on the jerseys of the NBA’s New York Knicks. Rags to riches, yo. 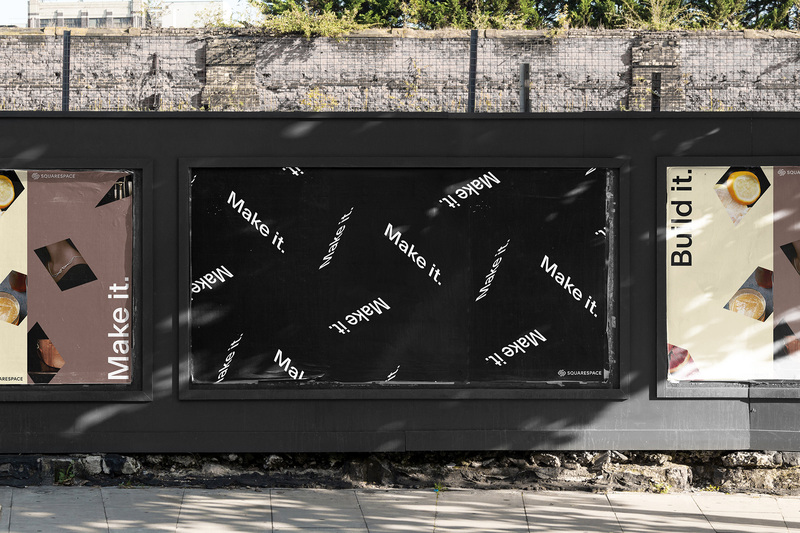 This week, Squarespace has introduced a new identity designed by New York, NY-based DIA, and a new custom font with Geneva, Switzerland-based François Rappo. 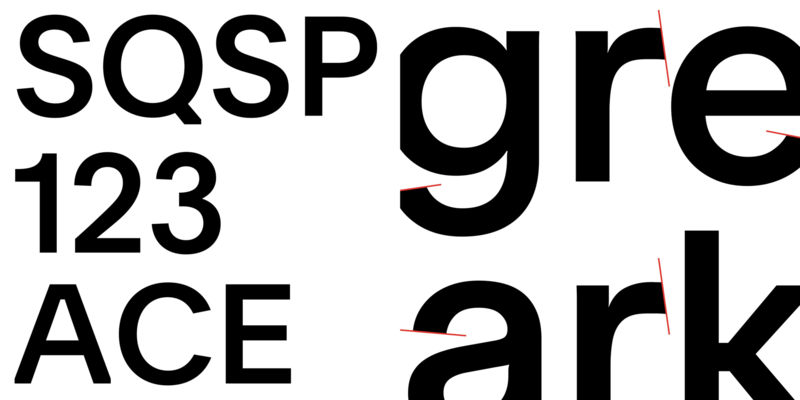 The new font is very nice and has some really great peculiarities. 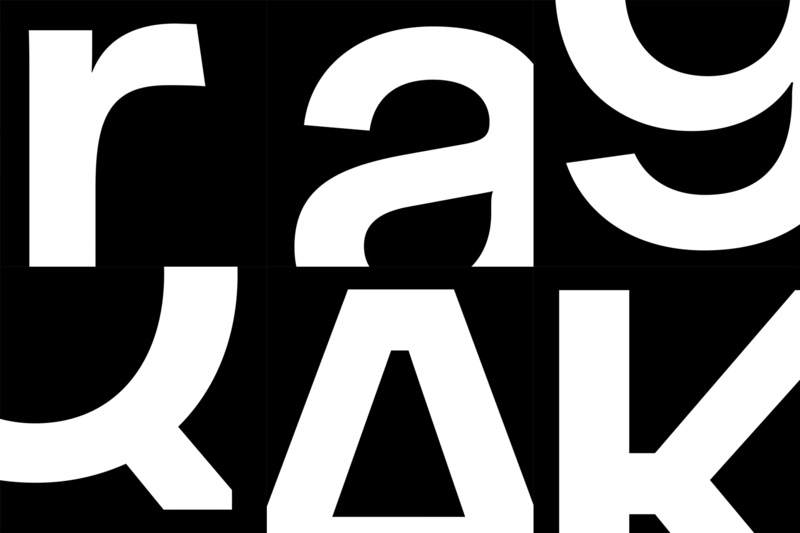 The reverse angle of the “r” for example or the very light angle of the endings of the “C”. While it’s yet another sans serif in a world of extremely similar sans serifs that do little to really differentiate one company, product, or service from the other, it’s one of the most interesting ones I’ve seen. 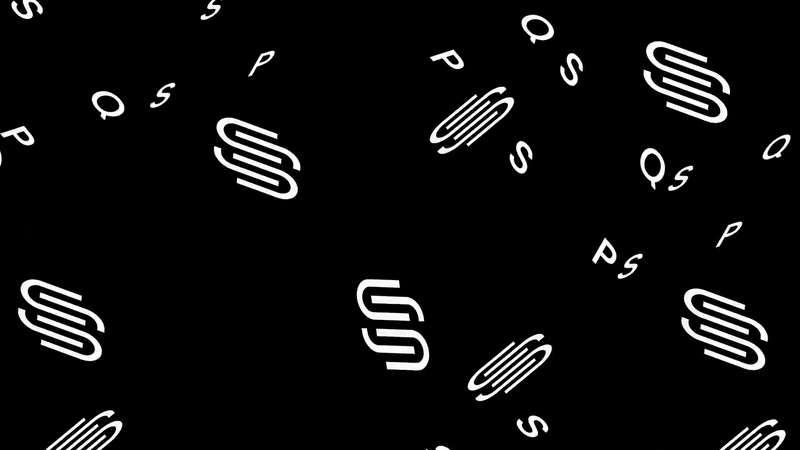 The new identity revolves around a system that plays with depth and perception. I like the systemic thinking behind it, how it can yield a somewhat unique language that does stand apart from most identities, and it’s super cool to look at as a system either here on Brand New or on their microsite but, as you’ll see in some of the layouts below, it might be somewhat aleatory when seen on its own. 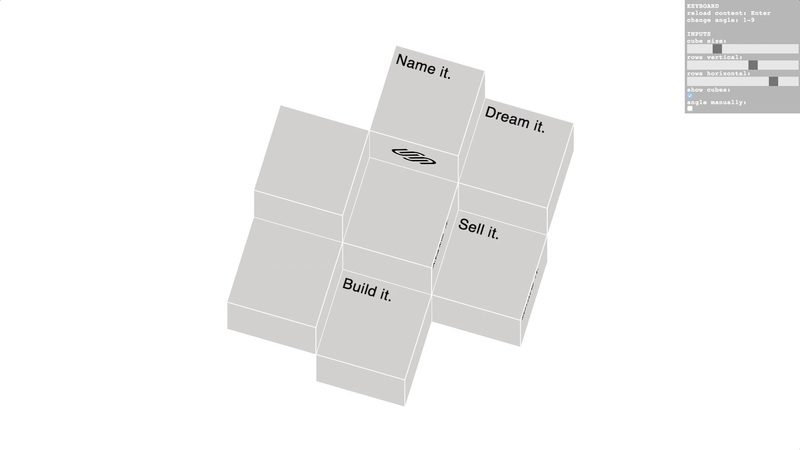 Interface to control cube output. Let’s say I’m not a graphic or web designer and I invented an orange peeler that I need a website for. I’m not sure any of the above layouts would make me think “Oh, there is the accessible solution I need”. I fear this might be too cool/daring for the new mainstream customer base they are aiming to reach. 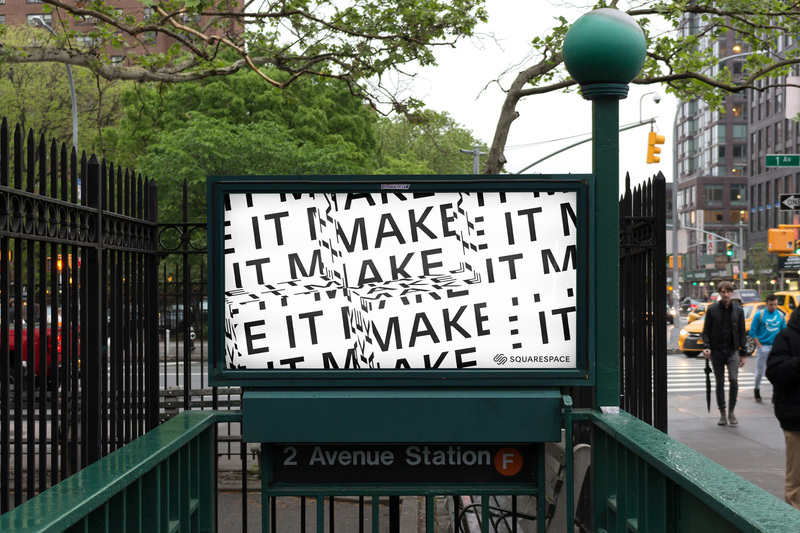 However, I very much commend Squarespace for going in what is a relatively drastic direction that aims to convey that they are not your average platform and that a commitment to design is a big part of what they offer. A large part of their audience, I assume, is still graphic designers who don’t code and use Squarespace either for their own websites or for their clients’ websites, and for that audience, this is perfect, making them look cooler than other options like Wix or perhaps even Shopify (which also offers templates and Squarespace now offers online sales tools so it’s a fairly direct competitor). The kinetic motion work is great. 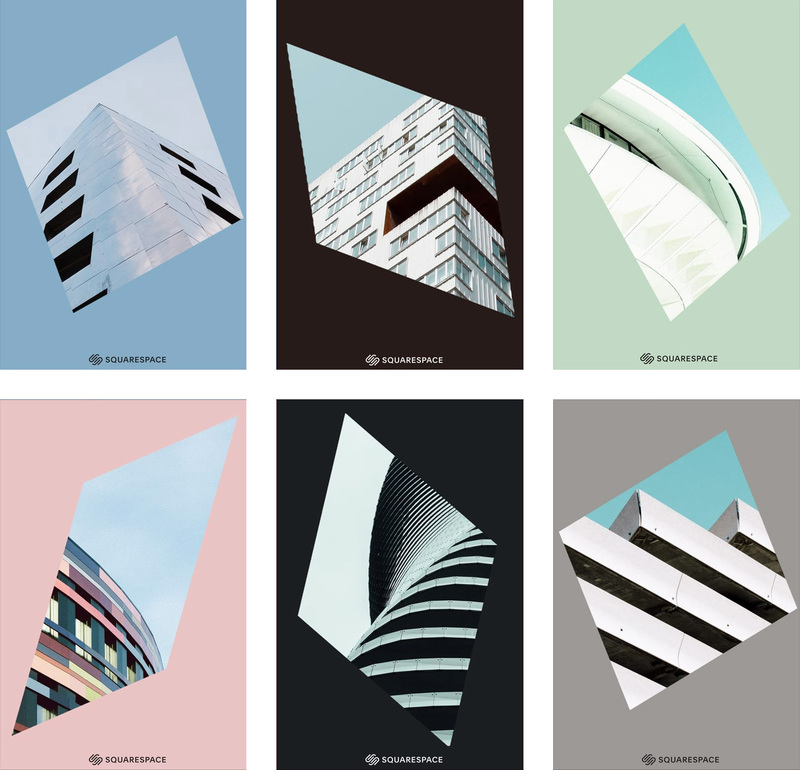 I’ve been really enjoying DIA’s exploration of this approach — check out their Instagram account — over the last year or two and it’s great to see it applied to a project with so much visibility. But, again, I wonder if it’s too much of a good thing or too much of a thing that is not easily digestible by many? Overall, this positions Squarespace in a similar corporate mainstream wavelength like Uber, as a kind of luxurious yet accessible necessity that provides a more stylish experience than jumping in a yellow cab or using a template from GoDaddy. 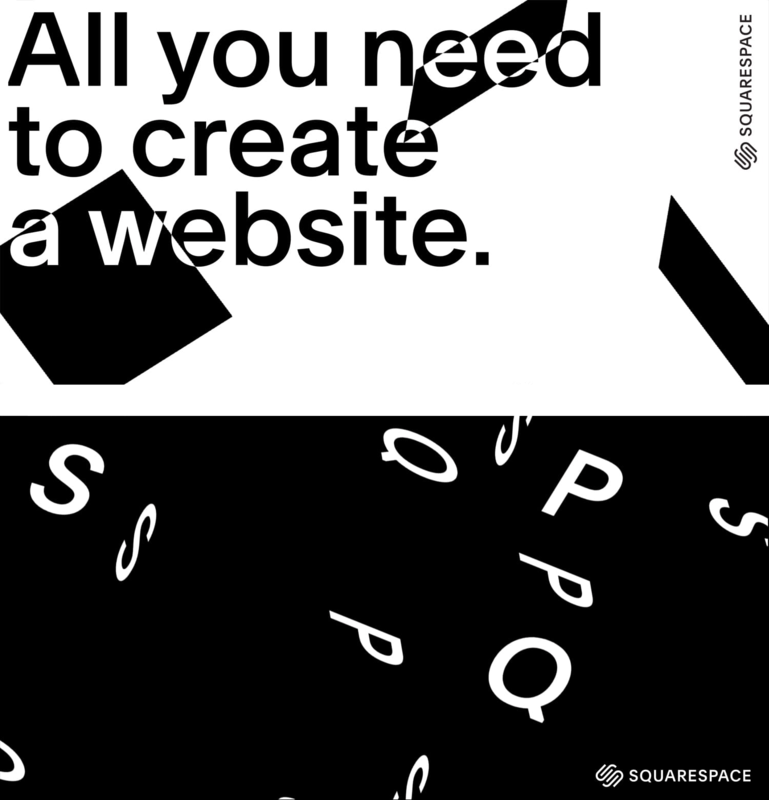 Launched in 2003, Squarespace is a web publishing platform that allows anyone to easily design websites through pre-built templates and/or drag-and-drop functionality. 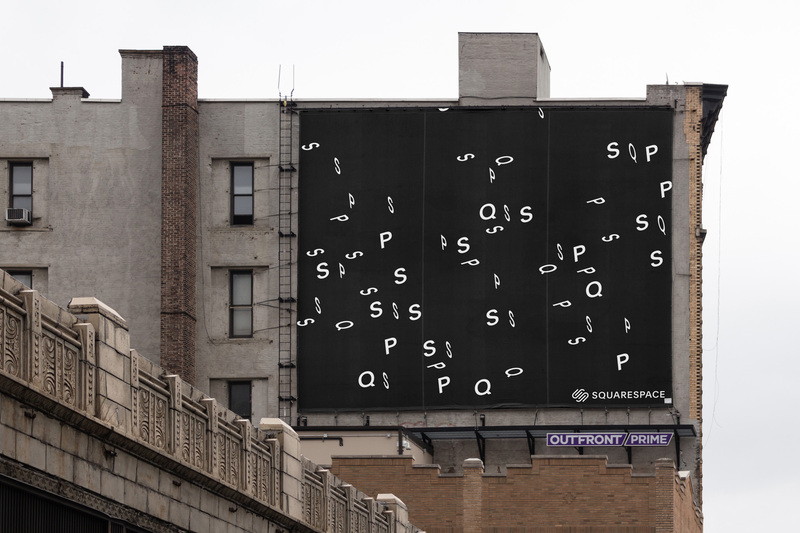 Originally the work of Anthony Casalena who ran the company on his own for four years with seed money from his dad and a university grant, Squarespace now has more than 800 employees in three cities and an unspecified range of millions of websites have been done through its platform. I remember the days when Squarespace was just beginning and even few designers knew about it -- now it has been advertising during the Super Bowl with Keanu Reeves since 2014 and they are the first sponsor to appear on the jerseys of the NBA's New York Knicks. Rags to riches, yo. 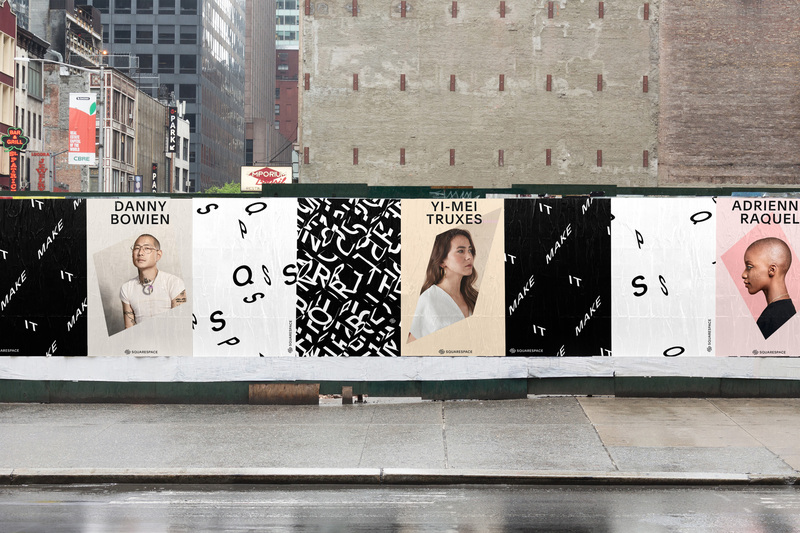 This week, Squarespace has introduced a new identity designed by New York, NY-based DIA, and a new custom font with Geneva, Switzerland-based François Rappo.